This section is about how to use and understand Birding in Maricopa County. This will explain the purposes and meanings of what the reader will see on each birding area and each hotspot under the specific birding areas. As the reader, take a few minutes to read this page to know how to better navigate through the different birding areas and hotspots. 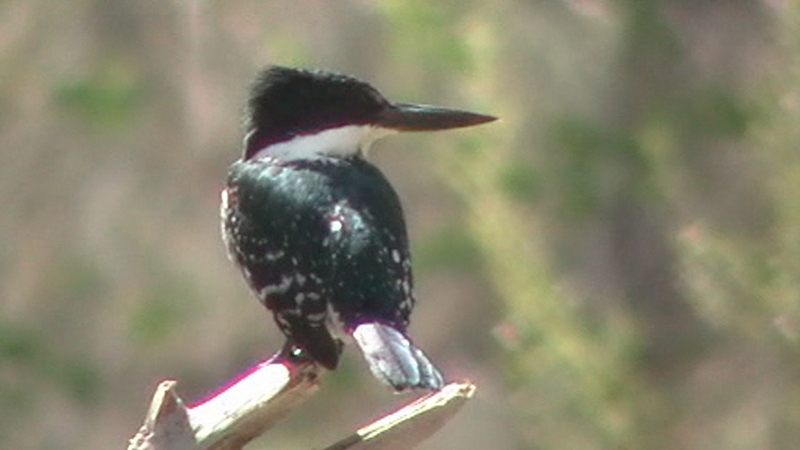 When on the main page of the Maricopa County Birding Areas, you will see a list of the areas. Click on the area you are interested in. You will then be on the area's overview page. Once on the area page, a few things are given. One is a description of the area. This gives an overall impression of what to expect throughout the listed hotspots that are on that area's page. Next, some of the areas that are driven in a specific route to access the all of the area's hotspots will have directions on that page or a link to a direction page. Examples of this include the Highway 87 Area, Lower Salt River Recreation Area, and the Apache Trail. A majority of the different areas will have to be accessed in different ways rather than by one major highway or road that leads and gives access to all of the birding locations under an area. The area's hotspots are then listed under "Birding Locations". These are the hotspots one will go to and visit while birding the area. More than half of the birding locations have "(eBird)" next to them on the menu. When this indication is by a location, that means there is a link on the location's page to access eBird data for that location. The data is illustrated in bar graphs to show abundance and what has been seen at the location, according to eBird users. The area overview pages will also include an overview map, a bird species list, and helpful knowledge and tips prior to visiting a location (only on some areas). The bird species list is my personal list of what I've observed in that area. It isn't every bird that has ever been there by any means, but it does give most of the birds one is likely to see in that area. Each birding location is set up in the same format. Every hotspot has the same setup, which really gives this online site a "guide" like feeling. Before the setup is discussed below, each hotspot is categorized with information in seven different categories. The seven categories are: Fast Flight Facts, Overview, Birding Tip, Directions, Pages, Scenes and Sights from_____, and Birdlife of ________. 1. Fast Flight Facts: Let's start with Fast Flight Facts. Fast Flight Facts are a series of ten facts about the location, from what the target species are at a location to what the facilities are or how far it is away from Phoenix. Birders can take a quick look at this category of ten quick facts and can easily get a feel for an area and how productive it might be for their birding needs. There is a lot to learn about using the Fast Flight Facts, but after looking it over a few times it is rather easy to learn. Fast Flight Fact # 1: Target Species-This explains what specific species you might want to target at a location or what general group of species you might see based on habitat. A lot of this is based on someone's first visit to Maricopa County or how easily or reliably you might get a certain target bird at the location. Fast Flight Fact # 2: Elevation-The elevation of the location is simply noted. Fast Flight Fact # 3: Habitat-States the overall and main habitat of the location. Fast Flight Fact # 4: Overall Birding Rating-This gives a rating of the location, with five being the highest and one being the lowest. Whether a hotspot is a one or a five, it still has good birding potential but might be productive only at certain time frames during the year. The rating system below will explain the numbers and their meaning. 1. Worth a stop if your in the area only at times throughout the year. (Example: a sludge pond during shorebird migration will be good, but terrible at other times during the year). Fast Flight Fact # 5: Difficulty-This is another one to five rating scale, based on difficulty. One is the easiest, and five is the highest at the scale at very difficult. The purpose of this function for this guide is to meet the needs of every birder. What some birders could do, others might not be able to so well. By having multiple hotspots at every number on the scale, this could help the birder find more places that are suitable for themselves. Fast Flight Fact # 6: Birding Type/Strategy-This fact will describe what style of birding is best for each location. Approaches to different birding locations will vary drastically throughout Maricopa County. Each birding type on here can be thought of as an approach to birding a location. The birding types are listed below. Simple Walk: This is the easiest birding type. This involves being able to simply walk around an area like a paved path for a relatively short distance. Examples would include town and city parks. Car Birding: This approach is another easy one. With this approach at a location, birding is often good from a car where there is light traffic in the area. An example of this would be driving around the area of the Old US 80. Get Out and Scan: A simple birding type and approach. This means getting just out of your vehicle to scan a location. An example of this would be parking near a pond and scanning the pond from the road. Walking and Scanning: This approach refers to searching for waterfowl and shorebirds. Some of the areas in Maricopa County have big recharge basins which take a lot of walking and scanning each basin to complete a census of what birds are present. Examples of this birding type include the Glendale Recharge Ponds in Glendale as well as Gilbert's Higley Road Ponds. Easy Hiking: Hiking on a trail with easy difficulty that is often a mile or less long. The trail is suitable for all ages and most hikers. An example of this would be the Waterfall Trail at the White Tank Mountain Regional Park or the many short and easy trails at a location like the Hassayampa Preserve. Moderate Hiking: This refers to a hike that is two to three miles in length, which may be a longer hike for some people. Or it may refer to sections of the trail or hike that may be more difficult than other parts of the trail. An example would be at Mount Ord along Forest Road 1688. This is a two mile hike that is flat walking for most of the time, but there are stretches that it climbs to make the hike tiring in spots. Difficult Hiking: A difficult hike would be longer than five miles which would be a tiring hike. A difficult hike could also be short, but could involve hiking through rocky areas or steep climbing. Bushwhacking: This is the one of the hardest approaches to a birding type. Bushwhacking is a dreaded strategy a lot of the time, but can be very satisfying to some birders who have an eager sense for exploration. Some of the best birding areas in the county require intense bushwhacking to see the area. Perfect examples are the drainages in the Slate Creek Divide Area that run south from the main road, Seven Springs Wash, and Morgan City Wash.
Wading: Some of the creeks in Maricopa County run through narrow areas, which may challenge a birding experience. Navigating around water is very difficult and time consuming in places. Instead of walking around the creeks, try wading through the creek to view the area better. Bringing an old pair of shoes with no value or boots is a perfect solution to this one. An example of this approach would be Mesquite Wash, which the riparian habitat is better viewed if wading in the creek. Boating: Some of the lakes in Maricopa County are long and huge and can only be birded only with limited access from land. Renting a boat will increase chances strongly of finding more waterbirds (possibly a rarity or two!) on the lakes. 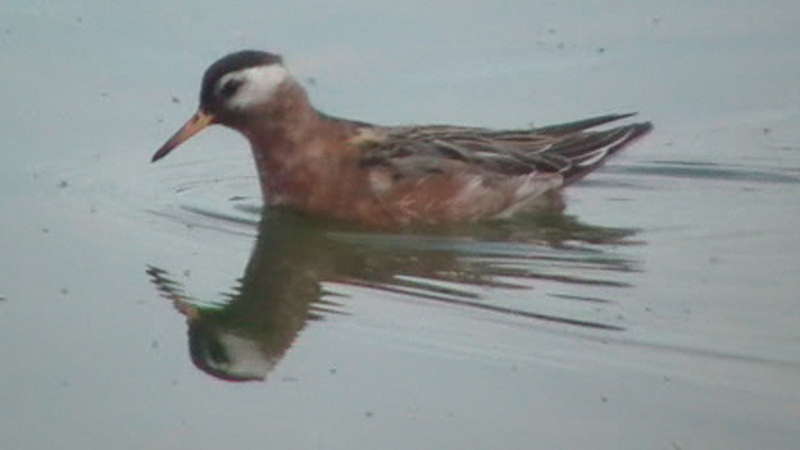 A perfect example of this birding type is Apache Lake. This long lake in the Apache Trail area is only accessed in a few places by recreation sites. Only renting and birding from a boat will give the birder a good chance of seeing the total diversity of birds on the lake. Migrant Searching: Every major riparian area or location in Maricopa County will be good places to search for migrants. This approach is referring to spots that may have smaller patches of habitat that stick out, where migrant searching is the primary focus for a stop and is worth a stop in areas to check for migrants. The term is often referred to as a "migrant trap". Examples of this approach are places like Paloma Ranch near Gila Bend, or a few of the Scottsdale Parks that have tall stands of trees that are obvious to migrating birds. Results of this method may be very rewarding! Owling: We all love owls! Finding them is usually another story during daylight hours. This birding type is staying up after dark and looking for owls by flashlight, and of course listening for them. 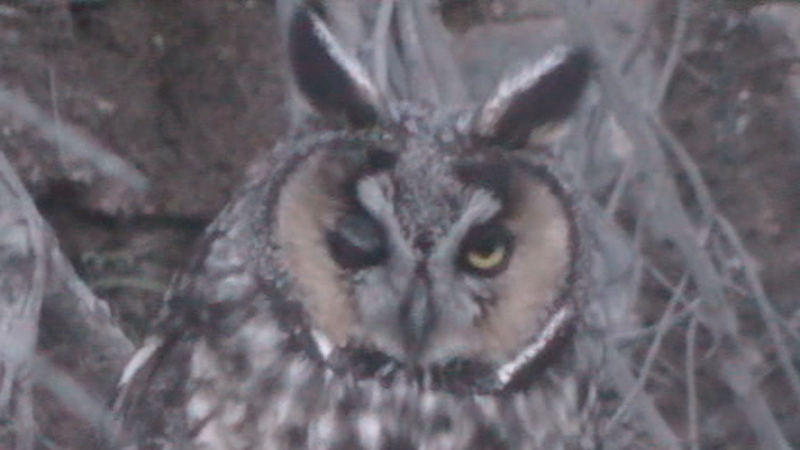 Look for this approach under some of the birding locations, which will be spread throughout this guide at locations that are good for listening and looking for different owls at night. Fast Flight Fact # 7: Facilities-This fact simply explains the facilities that can be found at each site, which includes restrooms, parking, camping, etc. A lot of the locations don't have facilities at all, plan accordingly when visiting places without any facilities. Fast Flight Fact # 8: Fees/Ownership-Tells if there are fees at a location, as well as who owns the location. Fast Flight Fact # 9: Closest Town or City?/How far from Phoenix?- This fact gives the closest town or city to each location. It also tells how far location is globally from Phoenix. Fast Flight Fact # 10: Getting There-The best way in accessing a hotspot is given for this fact. 2. Overview: This category is very important to read per location. An in depth description of the location is given. This includes descriptions of habitats and surrounding areas being explained, as well as what birds may be found at the location throughout the year. 3. Birding Tip: For each location, I give a birding tip of approaches I use to bird a location better. This may be a long description or a very simple description. Some tips will include detailed information on finding different species, or birding a variety of habitats. It may also include finding several good features at a location with good patches of habitat that aren't always obvious from the main route. Tips on hazards are also given if dangerous wildlife is in the area in abundance or if the area is close to private property or Indian land. 4. Directions: Directions are given for each location. I describe a few alternative routes for most of the locations, often with both freeway access or surrounding general roads. 5. Pages: This category is additional information for each location, where linked separate pages are found from the main location page. Each location includes a Google Earth Map page for each location. This is to give birders better ideas and overviews of where they are going. Let's use Mount Ord as an example. Under the pages section of Mount Ord, you will see a link for a page titled "Location Maps". A separate page is reserved for mapping images, and by clicking on the page, one may view each maps for the location. As this project goes on, perhaps more pages will be written in more precise detail about the location or the location's bird distribution over the years. Another paged link that is on most of the locations is data from eBird.com. By clicking on the eBird Data link (not every location has one), it gives a link to the bar graphs on eBird for the given location. Let's use Mount Ord as the example again. The link will say "Mount Ord eBird Data". This link will take one to eBird.com under the bar graph page for Mount Ord. Here one will have the option to see what has been seen and recorded at Mount Ord by eBird users, and bar graphs show when each species is present or has been recorded. eBird is a very valuable resource and keeps getting more and more popular among birders. I used only bar graphs and charts from eBird from hotspots that are always viewable to the public. The locations that aren't on eBird as public hotspots don't have links, but are still very important to visit. Perhaps more and more of them will eventually have eBird hotspots. 6. Scenes and Sights from____________: The Scenes and Sights category gives a series of photographs I have taken at each location. I try to bring each location to life, so I include as many pictures that are necessary to accomplish that purpose for each location. A lot of the locations will show what the spot looks like in different times of the year, which can highly vary. 7. Birdlife of ________________: This category shows pictures I have taken of some of the birds you may see or hear at a location. With this category, I made a rule that for a picture to make it on the location under the Birdlife section, it had to be authentically taken at the location. Every photo you see on this section was taken right on the specific location. This will include common birds to amazing rarities that have shown up on location. "What Bird Are You After?" is a guide to the regularly occuring birds in Maricopa County, and how to find them. The section is grouped by bird families. This is a very important section on this guide, and serves a few very good purposes. One is that it shows what is basically expected in Maricopa County throughout any given year, and that one will know what to look for most often when going out into the field by looking over this information. Another is that it can serve as a quick find index if someone is looking for a particular species. For example, if someone from the east came to Phoenix wanting to look for Zone-tailed Hawks and wanted a menu of different places that are good for viewing Zone-tailed Hawks throughout the county, they would have an easy list right in front of them. This list would state each area where Zone-tailed Hawks are found, and what locations are productive for them. Another good reason for this section is to save people time from searching the entire guide for places to see certain birds. This section focuses on essentials for those who want quick information. "What Bird Are You After?" also gives information and cool facts about each bird aside from the list of areas and birding locations to find different species. The section features over 260 regularly occuring birds in Maricopa County, most of which are shown by a photograph. There are also some species that are considered uncommon to rare in the county, but are usually found annually. These birds can be found at the end of a page and they are under a category called "Also keep an eye out for". 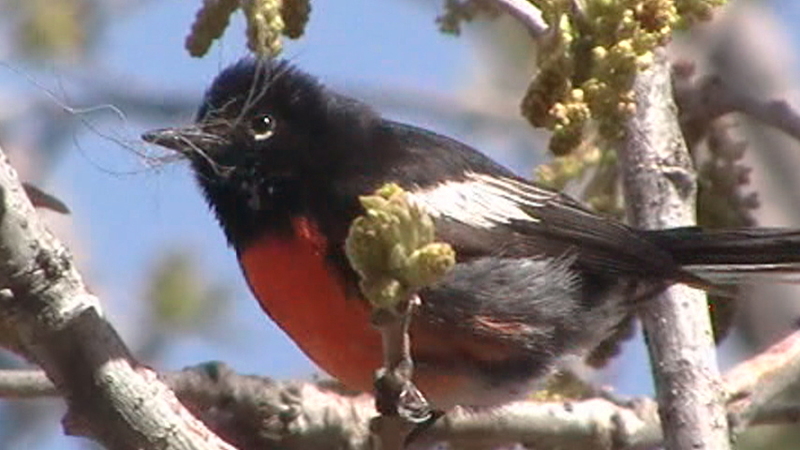 36 birds are shown that are uncommon to rare, due to the fact they are found annually most years in Maricopa County and should be kept in mind. Birds that are accidental or casual are not included in "What Bird Are You After?". If you are looking for a certain bird in the county because you are visiting, or you are building a Maricopa County list, than this section will help you in your birding quest!